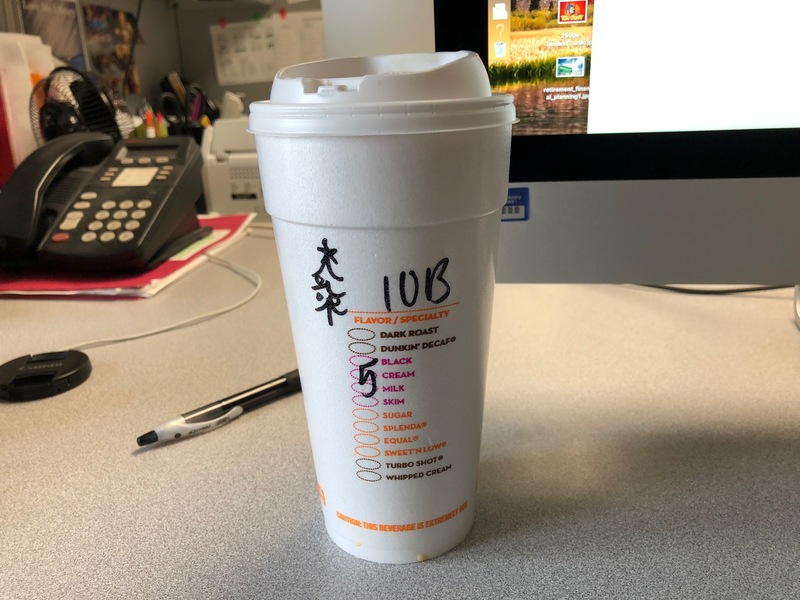 One of my regular Dunkin’ coffee makers decided to present me with something special the other day. Daisy dropped her head and doodled for a second before handing over my regular morning cup of Extra Large, Hot, Blueberry, Cream Only. She informed me that she’d gifted me with a tree. I smiled on my way back to my desk, I did. December 14, 2018 in Life. Awwwwww ! I love kind little happy gestures! Life can be kind, MBC. Yay. I agree, Joey. Smiles all around. nice! it’ the little things…. That Daisy, she’s a peach. She offered to help me move during the hell that was July. She is really a good one, Lynn.